On Sunday, February 17th, Camp Happy Days will host the 19th annual NASCAR Oyster Roast and Silent Auction, presented by The Fellowship Society of Charleston. The oyster roast will be held at 1035 Jenkins Rd. 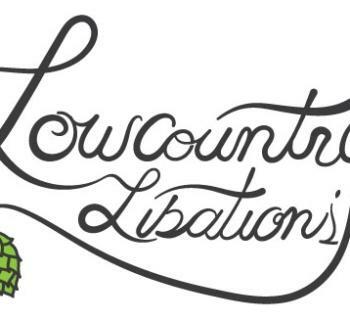 in West Ashley from noon to 6 pm. The event will include an oyster roast, silent auction, food, games, and raffles. 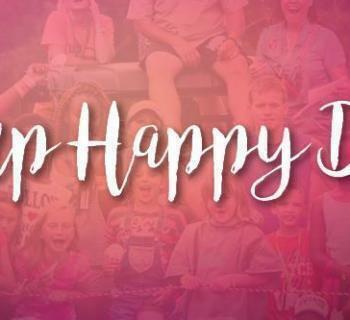 Camp Happy Days was founded in 1982, since opening they have made it their mission to provide encouragement and support for children diagnosed with cancer and their families. 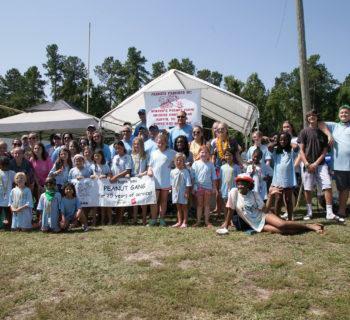 The donations from this event allow for Camp Happy Days to continue their cost-free programs, special events, and access to crisis resources for these children. 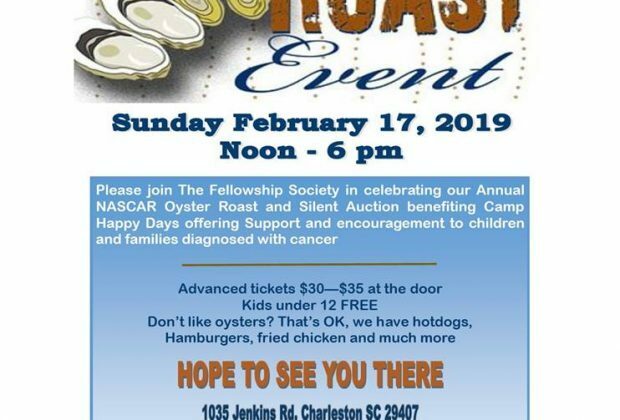 The Fellowship Society of Charleston was founded in 1962 and are an organization devoted to charity, goodwill, and patriotism. 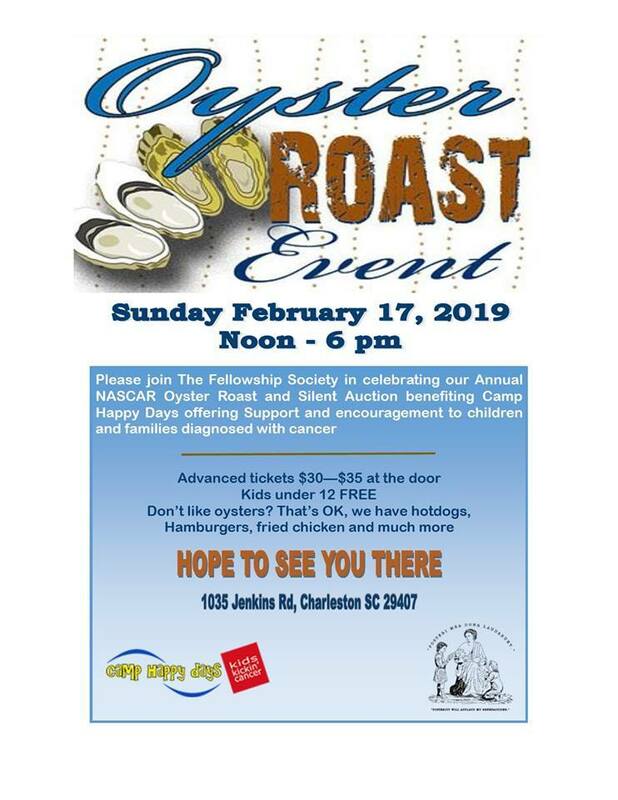 For the past 18 years, the organization has put on an oyster roast to help raise money for Camp Happy Days and the children who attend their camps, events, and programs. 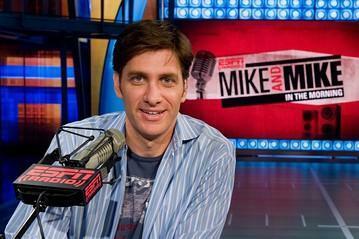 Their goal this year is to surpass their previous donation amount. 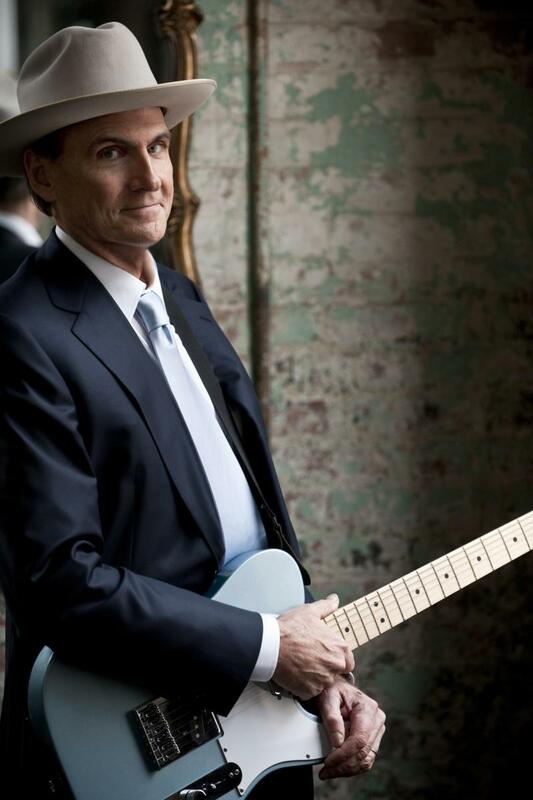 General Admission tickets are $30 per person in advance and $35 per person at the door. Children under the age of 12 are admitted for free. Tickets can be purchased from any of the Fellowship Society’s members or by credit card. Please bring cash or checks for the silent auctions as well. For addition information, contact Jim Gallagher, Senior Warden at [email protected].